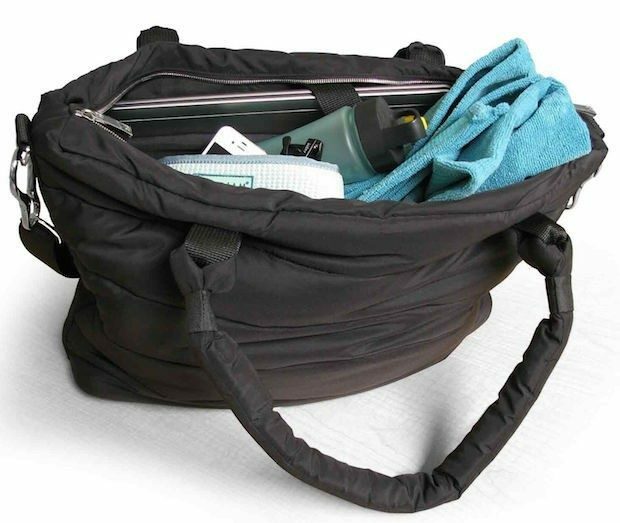 Featherweight Studio Duffle Just $14.99! You are here: Home / Great Deals / Featherweight Studio Duffle Just $14.99! Reduced from $69.00 at Gaiam, this is a great deal! The Featherweight Studio Duffle for Just $14.99 is made from recycled material, has adjustable padded shoulder straps and durable construction. It includes a padded laptop sleeve. Water-resistant recycled polyester. 14″H x 7½”W x 18″L (bottom) and 24″L (top), with 26″ shoulder straps.